There are several states attempting to draft sports gambling legislation, Kansas being one of them. These states have been fending off the NBA and MLB and their lobbying attempts to get their legal sports betting terms written into law. While some states flat out refused their proposals, Kansas may have found a middle ground that other states could strive for. S455, the Senate bill addressing sports betting, authorizes the Kansas Lottery to host sports gambling options through lottery retailers, legal online betting sites and horse racing tracks. The gaming commission is charged with regulating the industry and sharing betting information. The rest of the bill addresses what the leagues have been petitioning for. Part of the leagues’ demands are integrity fees. These are a 1% tax on all wagers placed, not the revenue. The NBA and MLB claim they are entitled to these fees since they consider their games as products of their brand. By their logic, there would be no sports betting options if the leagues didn’t put on these games, so therefore they should be compensated for it. Kansas lawmakers rolled this fee back to .25%, a figure they see more attractive. The leagues also still get a piece of the wagers, so it is a small victory for them. Kansas capped their fee at 5% should the wagers increase. New York had a similar compromise in their sports betting bill. One integral part of the sports leagues’ demands pertains to data. The NBA and MLB only want data used from their official sources for betting reports. This would give them a data monopoly over the US betting market. Sports data is used to determine wagers, particularly props and in-play bets, and the leagues feel that their data is the most accurate and up-to-date in this regard. 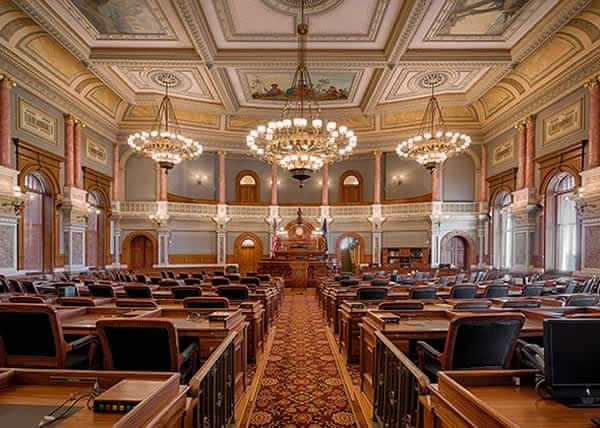 The Kansas bill allows local operators to use any data source for most standard betting options, however it gives leagues power over data used with live betting. Kansas also included a component in their bill that grants the NBA and MLB the right to ask for restrictions on certain wagering types and sports events. The gaming commission will consider the request and make a subsequent decision. This gives the leagues some peace of mind in knowing they can appeal specific wagering occurrences, but leaves all the power with states for final approval. In all likelihood, the leagues will not be able to stop any sort of wagering types or betting on certain events. The sports betting market wouldn’t allow it. It is interesting that this was included in the bill. Perhaps it was a safety measure to keep the leagues thinking they are receiving a good deal. Most states do not want to pay integrity fees. Most states do not want to support a data monopoly held by the leagues. Most states do not want to give the leagues any sort of power or influence over the betting landscape. However, the major sports leagues simply have too much money to be flat out denied on all requests. Kansas took a step to address some of their concerns while keeping their own interests at the forefront. None of this legislation even matters if PASPA isn’t repealed, but in the event that it does (which seems probable at this point), US sports betting will take off. Other states may use Kansas as an example of how to deal with the leagues, or perhaps they’ll band together and tell the leagues to back off. Either way, this bill is establishing a precedent. If Kansas is able to implement their state regulated sports betting initiatives, it would expand options available to residents beyond the existing legal online sportsbooks that currently offer sports betting lines to US bettors.